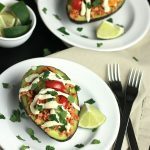 Make things easy, skip the shell and just use the Avocado to hold all of the taco goodness in these Vegan Stuffed Avocados, and let me tell you, they are so stinking delicious! First lets talk about TVP, what is it and how do you use it? TVP is short for Textured Vegetable Protein and it’s what I used as a meat alternative in these Vegan Stuffed Avocados. TVP is made from defatted soy flour that has been cooked under pressure and then dried. It’s high in protein, gluten-free and fairly inexpensive, however, it is a processed food. I don’t use it very often, which is why when I do use it I purchase it from the bulk section so I only get what I need. It’s not very flavorful but it takes on the flavor of whatever it’s paired with. 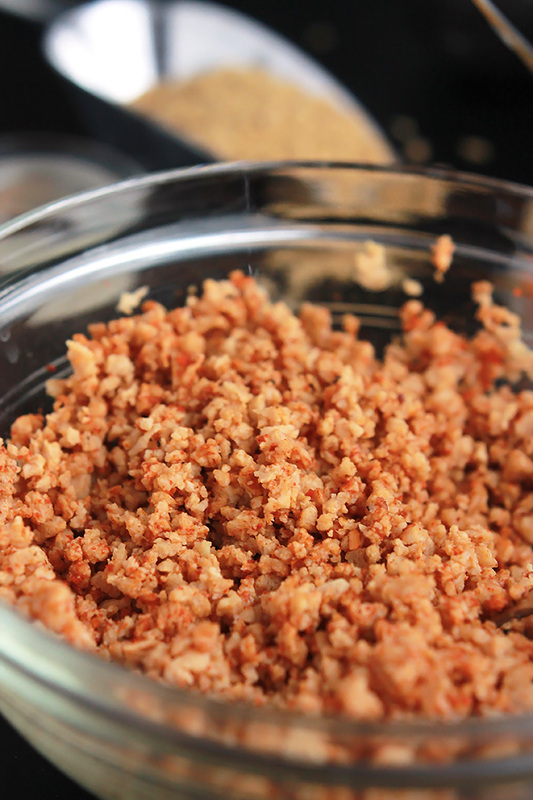 In this recipe it is seasoned with taco seasoning, you can find my DIY recipe here. When preparing TVP it has to be reconstituted with a hot liquid in a 1:1 ratio or you can simply add it to soups or sauces that contain plenty of liquid. Here I used 1/2 cup TVP to 1/2 cup hot water and it yielded me 1 1/2 cups after absorption. If you want you can replace the TVC with quinoa. Unfortunately for me, I’m sensitive to the protein in quinoa. 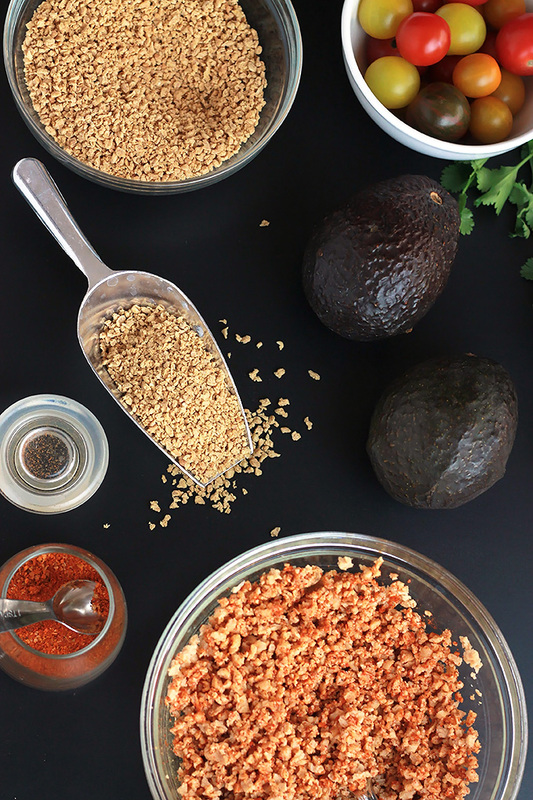 You could also try using farro or sorghum. This dish comes together in 20 minutes or less. While waiting on the TVP make the salsa. I removed the seeds from the jalapeños so it wouldn’t be too hot if you like it hot leave in the seeds. 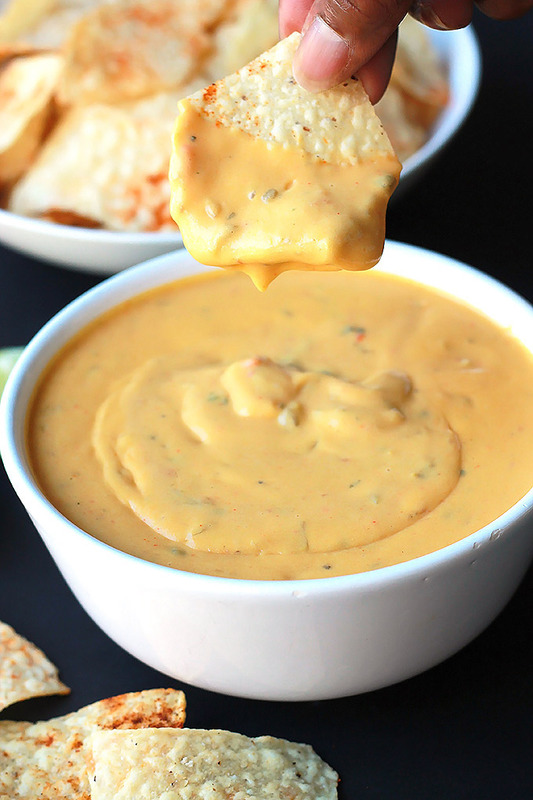 The avocado cream sauce is just as easy, everything goes into the blender and blend until smooth. See how easy it is, just fill the avocado and serve. The skin of the avocado serve as a bowl, scoop and eat. They’re so delicious and a great food to serve at get-togethers. If you make this recipe or a version of it, take a picture and share with me on Instagram, tag it #thewholeserving. You can also leave me a comment below to let me know how these Vegan Stuffed Avocados works for you. These look beautiful and delicious! The way you present the food is really a gift. I sometimes agonize over my photo shoots, it’s nice to hear those kind words from you. This looks absolutely delicious. My sister is vegan, so I am definitely sending this on to her. I hope your sister enjoys it. This looks delicious, and I have been craving avocados. Will definitely make it. Well, now you have a way to fill that craving. This looks amazing! I love avocados. Your pictures look amazing as well. yummy! this sounds delicious! I love any and all kinds of avocado snacks so thanks for this! Beautiful presentation, Sis! I love avocados, especially when they’re stuffed. These look amazing and a perfect lunch idea, they look great though so i am not sure i would be able to eat them :p they look too good! HaHa! They do look pretty, but after your first bite you may want to eat them without sharing. Thanks so much Charlotte for stopping by. Celeste those look delicious and what a beautiful picture. Never heard of TVP before. 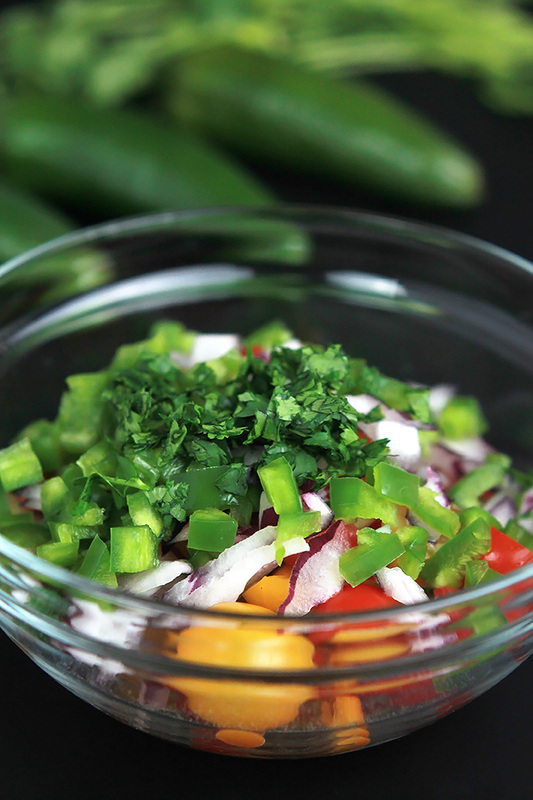 I hope you have a chance to give this recipe try. Thank you for stopping by and have a wonderful weekend. 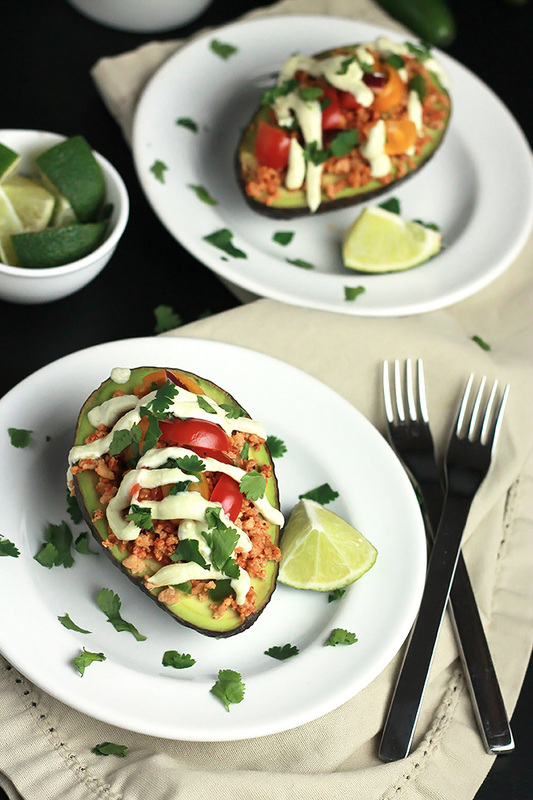 Your Stuffed Avocado looks wonderful! Thanks so much for sharing with Full Plate Thursday and come back soon! Thank you Janet for the compliment. This looks delicious! And your photos are beautiful! Great idea to use TVP. 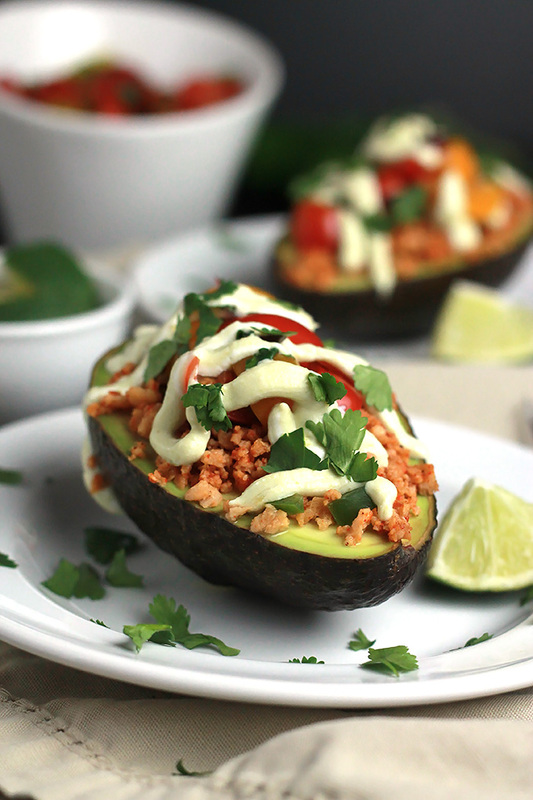 although I’m not vegan I love this recipe and the idea of using the avocado as the shell. Thanks for sharing with us at #OvertheMoon link up and have a great day! 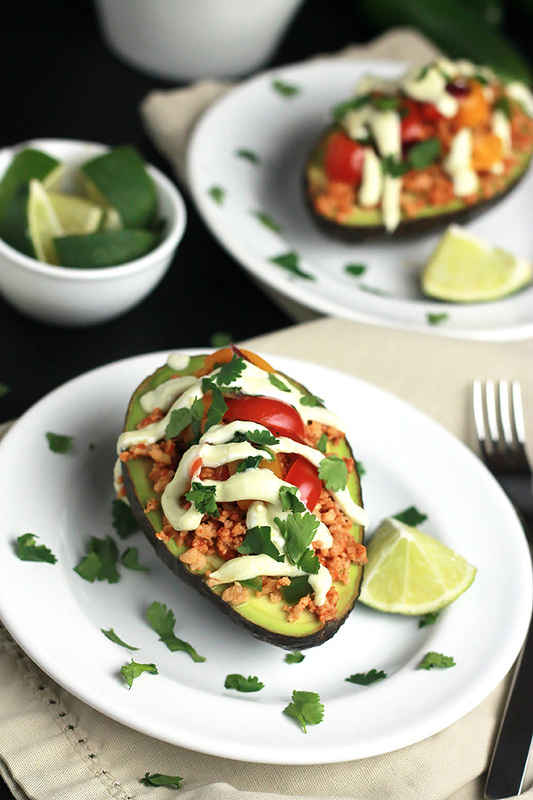 I Love Avocados & this looks Amazing! Looking forward to trying this, Pinned, Yummed, Tweeted, & Stumbled 🙂 Thank you for joining the Link-Up again this week!! Thank you Angela for all of the sharing love. You are welcome Lindsay, thanks for hosting Merry Monday! Sounds great and your pictures are beautiful! I’ve pinned this one! Thanks Jennifer, I hope you enjoy it. Celeste, can it get any better? I think not! 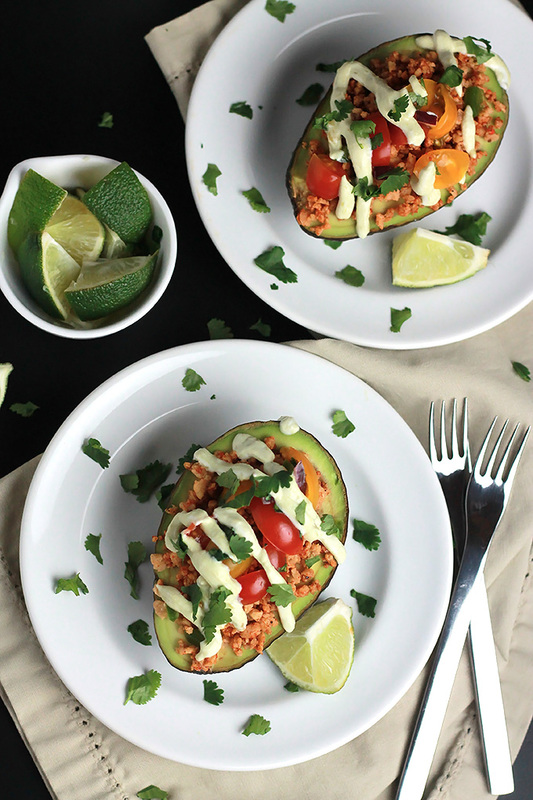 I love avocados and mexican food, so these beauties are right up my alley! I have never used TVP but I am going to look into it, my daughter is vegetarian and she’s not real big on the “fake frozen meat” products, this may be just what she’s looking for! Thanks! I hope your daughter likes this one and you can also use TVP in soups and stews. This recipe looks delicious!! I’m not vegan but I will definitely be trying this recipe for myself and my family! 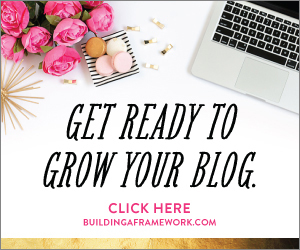 Thank you for sharing and linking up with us over at the Welcome Home Wednesdays Link Party! That would be a great substitution, unfortunately for me, I have a quinoa intolerance. Yum! Looks delicious 🙂 Thanks so much for sharing on the Healthy Living Link Party! We hope to see you back tonight! Thanks! I look forward to joining the party again this week. Ooh my word! This looks amazing! I have to try it. Thanks for sharing this. I’m a huge avocado fan and needed a new recipe. Gladys I hope you enjoy these as much as me and my family. 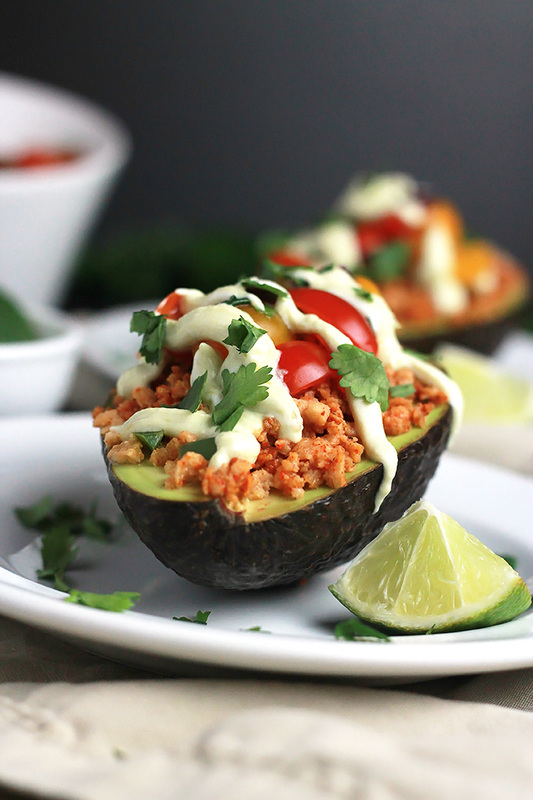 Love the idea of putting the taco right into the avocado! We have been on an avocado kick in our own home lately. Thanks for linking up at the Friday Funday Blog Hop #FFBH! Yeah, you can even serve them with a side of chips. Never thought of stuffing an avocado!! This is amazing! Thanks Amanda, I hope you give this one a try, you can also use quinoa if you like. oh gosh looks fab! I adore avocado! 🙂 Pinning. They are great for all of the outdoor eating that’s coming up soon. ‘Yum!’ doesn’t do this justice! I can’t wait to make this! I love avocado so it’s such a pleasure to read and share your healthy and delectable Vegan Stuffed Avocado! The photos are absolutely mouthwatering! Thank you for partying with us at the Healthy, Happy, Green and Natural Party Blog Hop. I’m pinning and sharing this! Thanks Deborah, I enjoy your blog hops. I read all of the comments here and I think I might be the only one who is confused by the recipe. Does all of the avocado go into the avocado cream sauce? From the recipe it seems like all of the avocado goes it’s scraped out into the sauce and then you just put the TVP and garnishes into the empty avocado shell. But in the picture, it looks like there is still avocado on the inside under the TVP . In the ingredient list there are 4 avocados in the first section and 2 for the cream sauce. The two in the cream sauce should be scooped and used for the sauce. Sorry for any confusion. I hope you have a chance to give this a try. Yes you need to cook the quinoa and add the seasoning during the cooking process.Enjoy! Yes you need to cook the quinoa and add the seasoning during the cooking process. Enjoy!